Wide entry steps positioned to maximize fitness area. Sculpted massage seat, open barrier-free fitness area, two RX6™ standing massage columns. 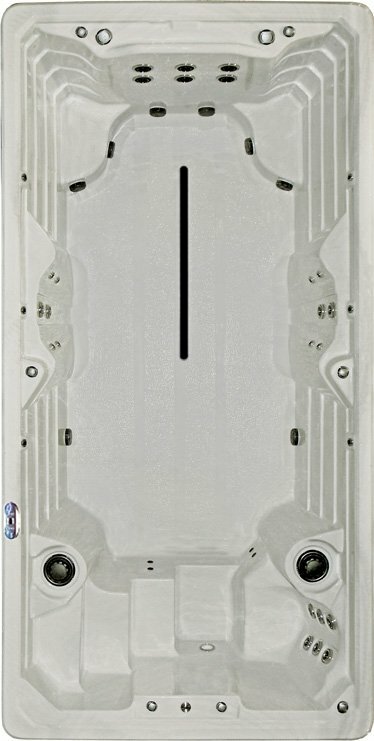 20 hydrotherapy stainless Reflections Jets™ . Full body massage columns, sculpted seat with shoulder, upper and lower back jetting. 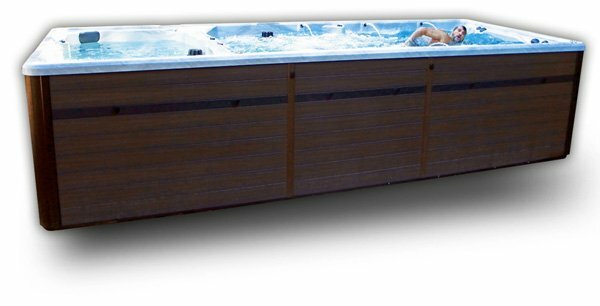 Designed for compact locations, most any deck, patio, sunroom or garage, this full featured FX15s swim spa model fits into your home and lifestyle. 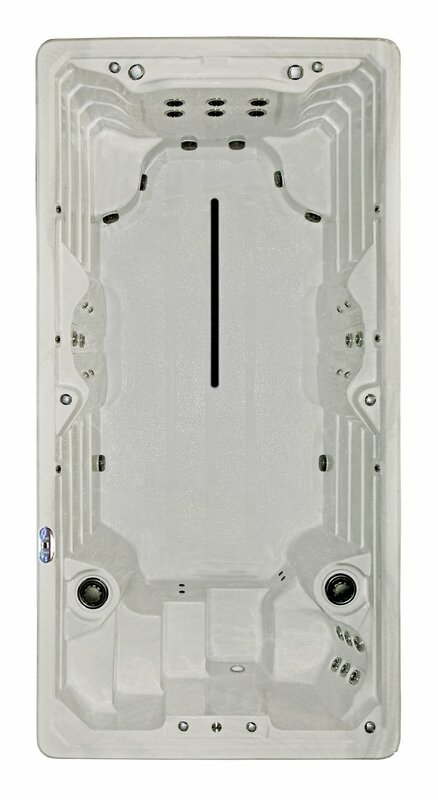 Measuring 15’, this space conscious design offers the home fitness and relaxation you deserve. Underwater LED lighting, cascading water spouts, 20 shiny Reflections Jets™ for full body hydrotherapy, and 6 powerful Synergy Pro™ fitness jets all standard with the FX15s.